A link to "Understanding your new Comcast Business bill for multiple accounts" will be sent via email. 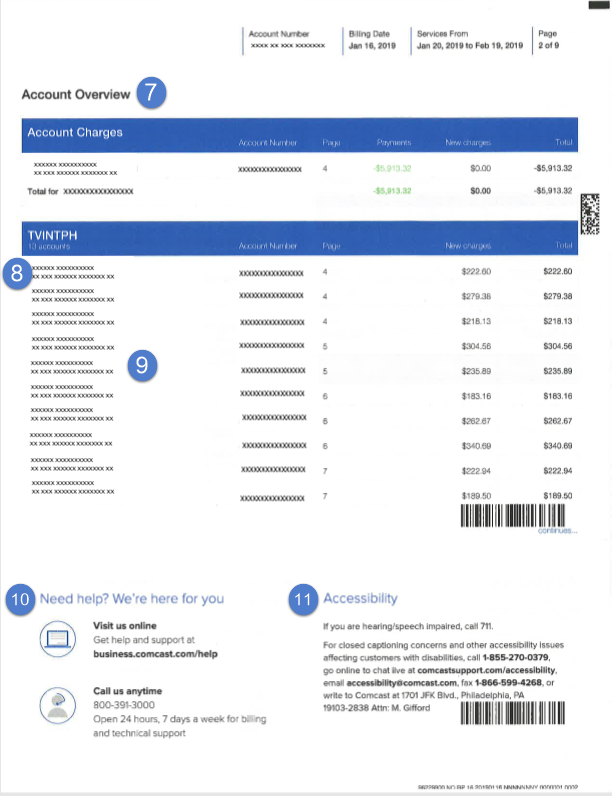 Your link to 'Understanding your new Comcast Business bill for multiple accounts' has been sent! Our billing combines multiple accounts into one bill for payment, allowing you to receive a single bill for two or more accounts. 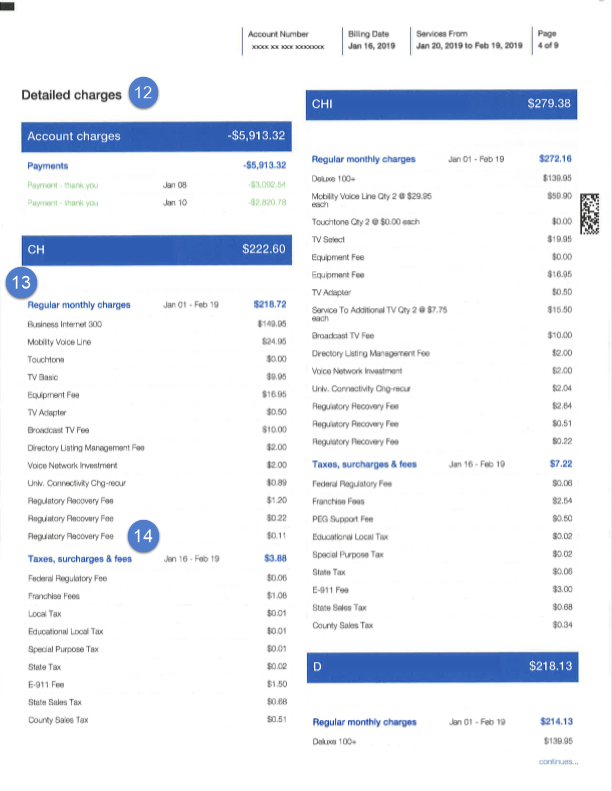 We’ve redesigned your monthly bill with a new easy-to-read format that simplifies the summary of charges for your primary and additional accounts. This article provides an overview of the information you’ll see on your bill each month. Register or sign in to My Account to view your bill from anywhere, anytime, on any device. Your regular monthly charges (Internet, Phone, TV, SmartOffice and/or Cloud Solutions) are now separated from one-time charges such as installation fees. The Account Charges section displays any credits, payments or late fees. Your Group summary name is an abbreviation of the company name or the services you subscribe to for that group. For example, TVINTPH is listed for tv, internet and telephone. Additional summary details are associated with the group name listed and account for the total charges for that specific group. Accessibility information is available for individuals that are speech or hearing impaired. Additional account summary details display on this page, including the Group total. 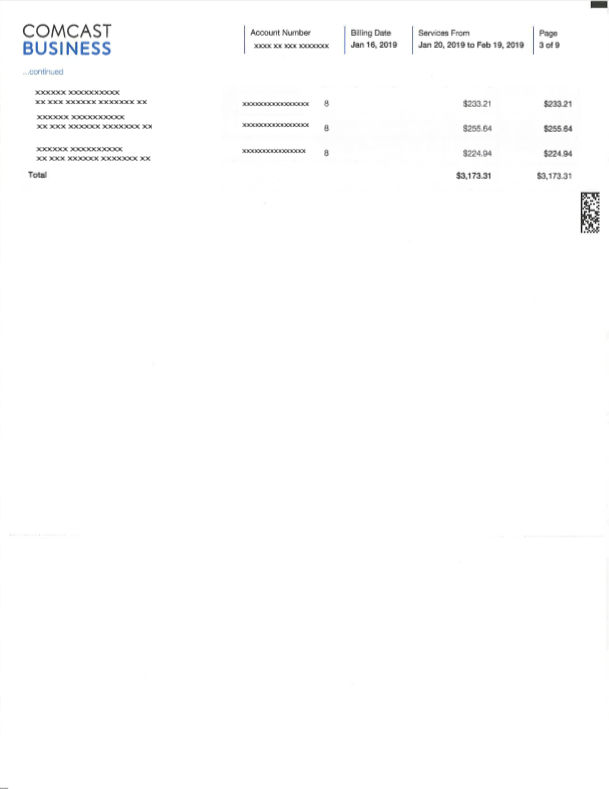 Your Detailed charges are clearly broken down as single line items for easy readability. Your regular monthly charges are listed at the top of each additional account. These are charges that recur monthly and should remain the same unless changes are made to your contract. This section also provides details about your equipment and services, including regular monthly charges for equipment rentals and TV Boxes.